We started bottling hot sauces and other products almost 2 years ago and one of our first clients was and still is Lucky Dog Hot Sauce. The head Hot Sauce Guy is Scott Zalkind and this is his full time deal. 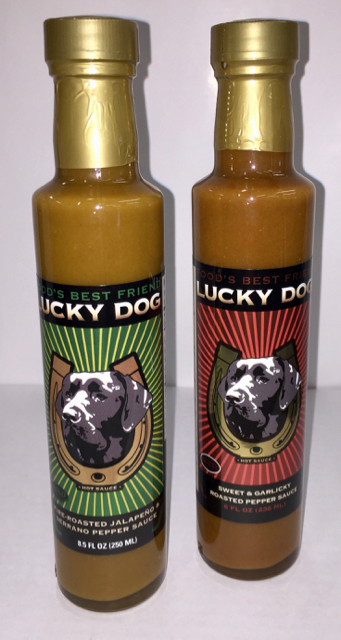 Lucky Dog put out a press release here not long ago with the very exciting news that they won 7 awards at the 2017 Fiery Foods Challenge! Take a look and have a taste – specially if you like the hot stuff!! !